Martha is asking if he will still be donating and thanking him for his donations. 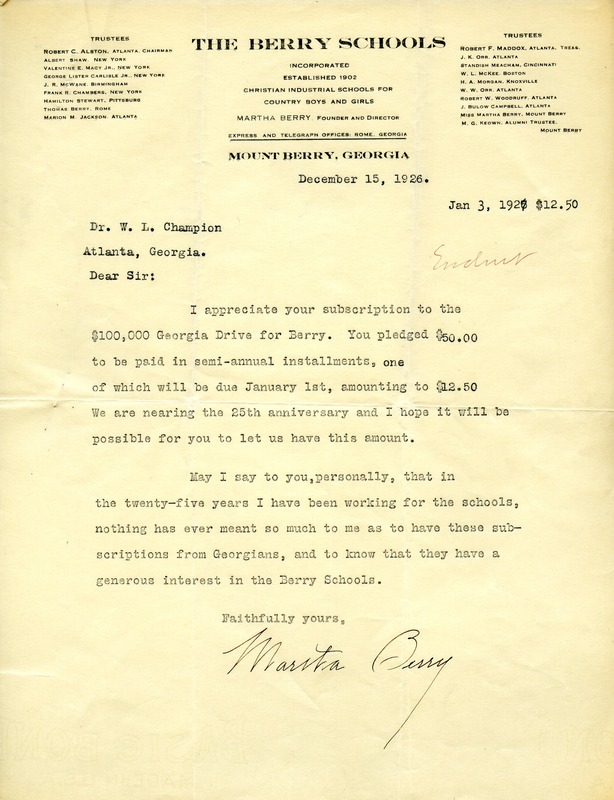 Martha Berry, “Letter from Martha Berry to Dr. W.L. Champion.” Martha Berry Digital Archive. Eds. Schlitz, Stephanie A., Aaron Nicholson, et al. Mount Berry: Berry College, 2012. accessed April 18, 2019, https://mbda.berry.edu/items/show/6336.